Kenzo reveals a new kind of intensely sensual and magnetic freshness for its latest interpretation of l’eau. For her, kenzo emphasizes the sensual facets of its legendary fragrance. 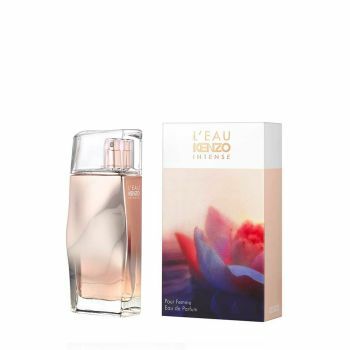 Gourmand hints of red apple pair with intensely feminine notes of peony and lotus flowers over a base of patchouli. For him, l’eau adopts a powerful olfactory signature in this new intense variation. Vibrant lime over an aquatic accord mingles with a vetiver woody base for a powerful and male fragrance. Two new fragrances for an irresistible magnetism between man and woman, a real invitation to sensuality.